Of necessity, authority in the religious realm must be determined either subjectively (internally, within man) or objectively (externally, outside of man). Jesus Himself views the above choices as the only possibilities to determine authority. In this passage, Jesus asks the Jews if the baptism of John had its source with heaven or men. One of those alternatives had to be the correct answer. If there had been other alternatives available to them, do you not think those embarrassed Jews would have quickly forwarded one of them? They did not because they could not. Authority in religion is either from heaven of from men and the Bible makes it plain that proper authority in the spiritual realm lies with God not man. Some suggest that one’s conscience is a sufficient guide in religion. But the conscience, in and of itself and by itself, is neither an accurate guide nor proper authority in the spiritual realm. The apostle Paul, before his conversion, used his conscience as his guide and it caused him to do many “contrary (defiant) things” (Acts 26:9; 23:1). In the days of the judges of Israel evil abounded because “everyone did what was right in his own eyes” (Jud. 17:6). Despite what Scripture says, though, mankind, over the ages, has sought to be its own authority and establish its own standards in the spiritual realm. These include such things as traditions (Matt. 15:13); opinions of family, ancestors (Matt. 10:37-39); and creeds of men (2 John 9-11). All of the standards in religion established by men, though varied, have one thing in common: they are all false. Since the wisdom of men is not from above, it is “earthly, sensual, demonic” (Jas. 3:15). While the world is filled with many books, with more being published every day, there is only one book from God. That book is the Bible. The word “Bible” means the book. Actually, though, it is not just one book but rather a compilation of sixty-six books. These sixty-six books were written by about forty authors over a period of some 1600 years. These different men were found in different circumstances. Often they never knew one another. Yet, they wrote on the same general theme — the salvation of man. More unique is the fact that in all their writings there are no contradictions. Many facts about “The Book of Books” are quite unique for the Bible, when compared to other books, is a strange book. The Bible was the first book printed (in 1450 A.D.), yet, it was never copyrighted. It has the widest circulation of any book that has ever existed. It is found in libraries, hotels, offices of government, etc. It has been the greatest influence for good in the history of mankind. Wherever the Bible has gone civilization has been raised to a higher level of morality. Many civil laws that make life better for man have their origin in the Bible. It is also a significant book in other ways. It is man’s sole source for the creation of his world and the origin of life. It gives him his only information on God, Christ and the Holy Spirit. While it is not the only book that refers to a life after death, it is the only one where promises concerning that life have been fulfilled and man’s hope in it substantiated. It makes all of this known in plain, understandable language and form. In Ephesians 3:1-5, the apostle Paul states emphatically that the person who reads Scripture can have the same understanding that he had of the mystery of Christ. To gain that understanding, though, one must first desire to have knowledge of the Bible and then begin a systematic, logical study of it. The Bible can be studied in a sytematic way because is a systematic book which reveals a logical plan and purpose. It is a purpose which involves the glory of God, the love of Christ and the salvation of mankind. The Bible is not, as some would suggest, a conglomeration of stories and wise sayings scattered about haphazardly without logic or system. If one logically studies it while considering its overall theme, the salvation and redemption of mankind, he can understand and profit from it. With diligent effort (2 Timothy 2:15), the mystery of God in Jesus Christ can be unlocked and applied. The Bible is unique in that it makes promises and warnings no other book does. It promises to enlighten (Psalm 19:9; 119:130); give understanding (Psalm 119:130); be better than gold (Psalm 19:10); save (James 1:21; Romans 1:16); sanctify (John 17:7); judge (John 12:48); and endure forever (John 12:48). It warns of sin (Romans 6:23; Ezekiel 18:20; Rev. 21:8). It also warns everyone to neither add to the word of God contained in it (Rev. 22:18) nor take away from it (Rev. 22:19). It warns all not to teach or accept anything else (Galatians 1:6-9). The Bible is likewise unique because it fills all of mankind’s greatest needs spiritually (2 Peter 1:3). It answers mankind’s greatest questions — questions which man has pondered since the dawn of time — “Where did I come from?” “Why am I here?” “Where am I going?” No other literary work has the answers to these questions. Yes, the Bible is unique in many ways. No other written work begins to compare to the inspired Scriptures. That uniqueness gives evidence to the fact that the Bible is from God and not a product of man’s wisdom. Its contents are far superior to anything man has ever devised because of its source — Jehovah God. “For as the heavens are higher than the earth, so are My ways higher than your ways, and My thoughts than your thoughts” (Isaiah 55:8-9). Written by my friend Gene Taylor. Thanks so much to Alan at the best fencing company in Brandon for sponsoring my blog this month! God’s will has always been made known through His speaking — His word. His revelation is a manifestation of His moral character. His laws, statutes, commandments, etc., are holy because He is holy (1 Pet. 1:15-16). They are true because He is truth (John 17:17; Heb. 6:18). He spoke through prophets in previous dispensations. Holy men of God were moved by the Holy Spirit to speak the things of God (2 Pet. 1:20-21). Hebrews 1:1 states that in times past God spoke to the fathers through the prophets. He even testified of Jesus Christ before His coming to earth through the prophets (1 Pet. 1:10-11). In this present age, God speaks exclusively through His Son (Heb. 1:1-2). The Father has delegated all authority to the Son (Matt. 28:18; Eph. 1:22-23). Jesus is that “prophet” of whom Moses spoke would be “like unto” him (Deut. 18:15; Acts 3:22). Jesus, while upon the earth, repeatedly stated that God had “sent” Him into the world (John 8:16,18,26,29,42). The apostles, over and over, declared the Lordship of Jesus (Acts 2:36; 3:26; 10:36; Eph. 1:22-23; Col. 1:18; 2:9-10). Since Jesus is God’s only spokesman today, and since He possesses all authority, all teaching must be “of Christ” if it is to have proper authority behind it (2 John 9-11; 1 Tim. 6:3-5). Using the Holy Spirit to guide them, Jesus authorized His apostles to use His authority. He promised they would receive dunamis, power (Luke 24:49; Acts 1:8). They were given exousia, authority (2 Cor. 10:8; 13:10). The Holy Spirit, as Jesus had promised, endowed them with their power and authority (John 14:26; 16:7-13). The work of the apostles began on the day of Pentecost recorded in the second chapter of the book of Acts. 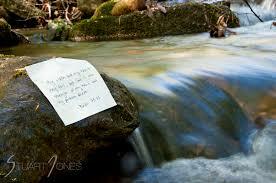 Later, when they wrote, the words were given to them by the Holy Spirit (1 Cor. 2:9-13; Gal. 1:11-12). All of His laws will immediately be important to us. We will want to know all that Jesus has commanded of us. A to Him will become our way of life. Jesus expects such obedience (Matt. 7:21-23; Luke 6:46). He is Savior to those who are obedient to Him (Heb. 5:8-9). His character will be developed in our lives by the application of His teaching to our minds. We will be transformed into having the “mind of Christ” in all things (Phil. 2:5; Rom. 12:1-2). The qualities of character He possesses and the attitudes He has for God and others will become our standards in every aspect of our lives. It is vitally important that every person understand how God’s authority is expressed to man so that all will recognize it, learn what it commands, and submit to it in all things. To do anything less, would be to fall short of what God would have us to be and fail to live in accordance with His revealed will. Thanks so much to j29events.com, the best Portland Wedding Planner for sponsoring my blog! Authority, as used in the above text, is defined as “the power of rule or government (the power of him whose will and commands must be submitted to by others and obeyed)” (Thayer’s Greek-English Lexicon). W.E. Vine defines it as “the power of rule or government, the power of one whose will and commands must be obeyed by others” (Expository Dictionary of NT Words). Without authority, religion would be completely meaningless. Such was the case during the period of the Judges in Israel. There was no recognition of authority because “in those days…everyone did what was right in his own eyes” (Jud. 17:6). Thus their religion lost meaning and they became evil. Failing to submit to God’s law and rejecting His authority, they were condemned and delivered to their enemies to be oppressed. The ultimate end of a lack of authority in the spiritual realm would be total moral and spiritual bankruptcy. When He came to earth, Jesus knew He had a mission to accomplish. He knew He would have to die on the cross. He realized He had to be the sacrifice for mankind’s sins to provide them hope of salvation. The Old Testament prophesied, in detail, of every phase of His life — the crucifixion is no exception. Isaiah 53:8 and Daniel 9:26 indicate He would have a violent death. 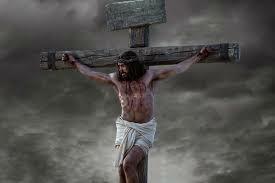 Psalm 22:16 shows that He was to die by crucifixion. Psalm 22:11states that this death would be in the midst of His enemies. That His garments were to be parted and lots cast for His vesture was foretold in Psalm 22:18. Verses six through eight of that psalm say that He would be cruelly mocked. Psalm 34:20 prophesied that He was to have no bones broken while Zechariah 12:10 relates that His side would be pierced. Even the sayings Jesus uttered while on the cross were a matter of prophecy. Crucifixion was the form of punishment reserved by the Romans for slaves, foreigners, and the vilest criminals and could not be inflicted on a Roman citizen. With its prolonged and excruciating torture, it was the most agonizing death which the cruelty of a cruel age could imagine. Though Jewish law knew nothing of it, the Jewish people demanded Pilate administer it upon their Messiah. The site of Jesus’ crucifixion was Golgotha, the place of the skull. Though it was outside the wall of Jerusalem, it was in the immediate vicinity of the city. The crucifixion took place on Friday and began about 9 A.M. It took place during a time when Jerusalem was filled with Jews from all over the world who had come there for Passover. Part of the victim’s torment in crucifixion was that he had to bear his own cross. In the case of Jesus, after He had stumbled beneath its weight unable to go on, Simon, a man of Cyrene, was compelled to carry His cross for Him. When Calvary was reached, a Roman centurion and his men drove nails into the hands and feet of Jesus and erected the cross. Two robbers, one on His left and the other on His right, were also crucified — fulfilling Isaiah 53:12. Above His head was placed a plaque which read in three different languages — Hebrew, Greek and Latin — which said, “This is the King of the Jews” (Luke 23:38), an ironic statement of truth. The triumph of Jesus’ enemies now seemed complete and their glee was unrestrained. To them, Christ’s seeming helplessness reinforced their views and disproved His claims. They railed at Him and taunted Him to come down from the cross if He were the Messiah. Even one of the robbers who was being crucified with Him began to revile Him. The other thief, though, defended Him by saying that He was being crucified unjustly because He had done nothing wrong. Jesus comforted him by saying that he would be in paradise with Him that very day. Standing near the cross was a group of women. One of them was Jesus’ mother. Even though He was in agony, He spoke tenderly to her and made sure she would be cared for by John. The end was now very near. With a last effort, Jesus said, “It is finished” (John 19:30), then, in His final utterance, commended His spirit to God. “It is finished” was not the cry of a defeated martyr but the shout of a triumphant victor for it signified completion. Jesus died with a consciousness that His work was done. He then surrendered Himself to death. A great darkness had precluded His death and now, with death, the veil of the temple is torn from top to bottom, a great earthquake shakes the city and rends the rocks, and graves were opened. Many bodies of dead saints came out of their graves after His resurrection. The centurion who had been in charge of the crucifixion, considering what was happening, observed, “Truly this was the Son of God” (Matt. 27:54). Because of the Sabbath, the Jews asked the Romans to quickly remove the bodies from the crosses. To hasten death, the Romans normally broke the legs of the crucified ones. Since Jesus had already died, His legs were not broken but one of the soldiers pierced His side and blood and water flowed forth. Jesus, the Son of God, the Messiah, was dead — crucified by His own people. Jesus was buried and, on the third day, was raised from the dead by the power of God. He overcame death as He had overcome sin. He had been the propitiation for the sins of all mankind. He had triumphed over all foes, including Satan. By His victory He now provides salvation to anyone who believes in Him and obeys His gospel. Josiah was king of Judah from 641 to 609 B.C. he assumed the throne at the age of eight and reigned for 31 years. He died in battle at Megiddo being killed by Pharaoh Necho, king of Egypt (2 Kings 23:28-30). Josiah was righteous in a time of wickedness. He was faithful in an evil environment. His righteousness was unsurpassed by any king before or after him (2 Kings 23:25). He was righteous even though his family was wicked. One can read of the wickedness of Josiah’s grandfather, Manasseh (2 Kings 21:19,16); his father Amon (2 Kings 21:19-22); and his sons, Jehoahaz and Jehoiakim (2 Kings 23:31-37). He was righteous even though the Judean society was evil. According to 2 Kings 21, they were worse than the nations God had destroyed (v. 9), they had filled Jerusalem “with blood” (v. 16) and they were totally given over to idolatry (vv. 2-7, 21). Josiah’s faithfulness was seen in numerous ways in his life. It was seen in the changes he instituted. In the eighth year of his reign he “began to seek after God” (2 Chron. 34:3). In the twelfth year of his reign he brought sweeping changes to Judah (2 Chron. 34:3-7) which included purging Judah of the “high places” and idols, breaking down the altars of Baal and punishing the idolatrous priests. In the eighteenth year of his reign he sought to repair the house of God (2 Kings 22:3-7). His faithfulness is also seen in his tender-hearted reaction to the Law of God (2 Kings 22). While work was being done on the Temple, the book of the Law of God was found (v. 8). Josiah recognized the value of the book of the Law (vv. 11-13). He had godly sorrow over Judah’s sins (v. 11). He desired to learn more of the word (vv. 12-13). Also, knowing the value of the book of the Law of God, he shared the word with others. Verse two of 2 Kings 23 says, “The king went up to the house of the Lord with all the men of Judah, and with him all the inhabitants of Jerusalem — the priests and the prophets and all the people, both small and great. And he read in their hearing all the words of the Book of the Covenant which had been found in the house of the Lord.” Because of his influence, “all the people took a stand for the covenant” (2 Kings 23:3). The life of Josiah presents a wonderful example for people for it demonstrates how one may find favor with God. The key to finding favor with God is to have the attitude that Josiah had toward the word of God. Recognize the Bible for what it is — the word of God. Tender-heartedly receive it as the will of God and humble yourself before it. Be filled with godly sorrow over your sins and seek to cleanse the evils and impurities of sin from your life. Seek to know as much as you can of the will of God. Walk in the way of God by humbly obeying God’s commands. Do not turn aside to the right or the left. Knowing the word’s value, share it with others. If you will have a tender heart for truth, as did Josiah, you too will be pleasing unto God and be rewarded by Him with an eternal inheritance in heaven. Thanks so much to the best fencing company in Fort Walton Beach for sponsoring my blog! Lot was the son of Haran and the nephew of Abraham, (Gen. 11:27). Following Haran’s death, he went with Terah, his grandfather, and Abraham to Ha-ran (Gen. 11:31). After Terah’s death, he and Abraham went to Canaan (Gen. 12:5). Following a sojourning in Egypt because of a famine in Canaan, Lot and Abraham were faced with a problem. The land was not able to support the great flocks and herds of both men so that they could continue to live at the same place (Gen. 13:6-7). Strife had even developed between their herdsmen. To solve the problem, Abraham allowed Lot to choose where he would dwell (Gen. 13:8-13). Lot chose the plain of Jordan because it was well-watered with lush, green pasture. 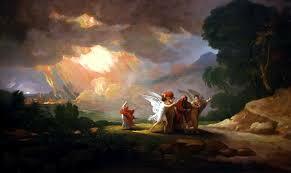 He pitched his tent toward Sodom whose people were “exceedingly wicked and sinful” (v. 13). In time, the city of Sodom was overrun by Chedorlaomer, king of Elam, and his allies. Lot and his goods were taken captive to Dan (Gen. 14:1-16). Abraham raised an army from his own household and rescued Lot and the others who had been taken captive (vv. 14-16). Eventually God decided to destroy the cities of Sodom and Gomorrah because of their great sin (Gen. 18:20-33). Lot and his family were warned by angels of the destruction that was to come (Gen. 19:1-16). Lot invited the angels to stay at his home where he showed hospitality to them. The men of the city surrounded Lot’s house and demanded he send the men (angels) out to them so that they might “know them carnally.” Lot offered his daughters to the men of the city who then turned upon Lot but he was rescued by the angels who blinded those men. Learning of the cities’ impending destruction, Lot told his married daughters and their husbands but they regarded him as one who “seemed to be joking.” The angels then physically led Lot, his wife and his two unmarried daughters out of the city. The angels told Lot to flee to the mountains but he wanted to go to the city of Zoar (Gen. 19:17-22). He feared for his life if he went to the mountains so the angels allowed him to go to Zoar. God rained fire and brimstone on Sodom and Gomorrah and all the plain destroying the cities and their inhabitants (Gen. 19:23-29). Lot’s wife, contrary to God’s command, looked back toward Sodom and became a pillar of salt. Fearing for his life, Lot and his two daughters fled to the mountains and lived in a cave where his daughters, possibly because of the wicked influence of Sodom, plotted to have children by their father (Gen. 19:30-38). They made Lot drunk with wine and went in to him, he being unaware of their presence. Each bore a child by him. The oldest daughter gave birth to Moab, the father of the Moabites. The younger bore Benammi, the father of the Ammonites. An example of the importance of making proper decisions. His decision to live in the cities of the plain brought him and his family much grief. As a direct consequence of this choice: his daughters partook of the city of Sodom and were destroyed (Gen. 19:14); he lost his wealth, leaving it behind when the cities were destroyed; he lost his wife (Gen. 19:26); his two surviving daughters were so influenced by the evil of Sodom that they got their own father drunk and sinned with him (Gen. 19:32-38). An illustration of the principle of 1 Corinthians 15:33: “Evil company corrupts good habits.” Though Lot was strong enough to overcome the evil influence of Sodom, his family was not. His wife and some of his daughters perished because of Sodom’s evil influence. An example of selfishness. In Genesis 13, he picked what he thought was best for himself. In reality, it was the worst thing he could have done. Selflessness is always better than selfishness in the long run. An example of the dangers of materialism. His decision in Genesis 13 was made with a materialistic eye and heart. He saw no further than the lush green pastures of the Jordan plain. His mind was on the here and now. He should have had greater foresight and taken spiritual factors into consideration. His wife’s death illustrates a number of facts that all must consider (Luke 17:32). She perished: even though she was the wife of a righteous man (2 Pet. 2:7-8); even though she had been warned by God; even though she made an effort to save herself; even though she committed only one sin. In spite of all his shortcomings and sins, Lot is considered righteous by God (2 Pet. 2:7-8). He was righteous even though he was surrounded by wickedness. He was vexed or “oppressed” on a daily basis by the wickedness of those around him. Quite likely the early influence of Abraham had deeply impressed him. Like Lot, we live in a wicked society. Yet, we cannot excuse our sin because of it. Lot shows us we can be righteous even in the midst of the vilest of sin and sinners. The fundamental teaching of the Bible, God’s revelation to man, is that Jesus is the Son of God. It is the basis of the New Testament Scriptures (John 20:30-31) and the theme of New Testament preaching (See Acts 2:36; 17:1-3; 1 Corinthians 2:2). The Scriptures contain many facts that give positive evidence to support its main theme. Consider what they reveal about the life of Jesus. They show He had an immeasurable influence on people, that His teachings were the greatest words ever spoken (John 7:44-46) and that His life was sinless (Hebrews 4:15; 1 Peter 2:21-22; John 8:46). Even the enemies of Jesus admitted His innocence (Acts 2). Compare His sinlessness to the rest of mankind and you will find Him to be the only one ever to live in sinless perfection (Romans 3:10, 23). Consider also what the Scriptures say about the miraculous works Jesus performed. Those works, done by the power of God (John 3:2), gave evidence that He was from the Father and gave support to His claim to be the Son of God (John 5:36). No one, not even those who opposed Him, ever denied His ability to work miracles. They may have attributed the power to work them to an evil source but they could not deny that He worked wonders before them. 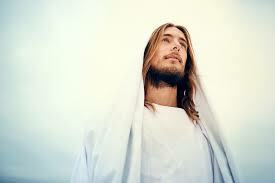 The Scriptures also tell how Jesus fulfilled every one of the more than 300 Messianic prophecies of the Old Testament. He used those prophecies to further establish and confirm His identity (Luke 24:25-27; John 5:39-40). It would have been impossible for an impostor to manipulate events and occurences in such a way as to appear to be the genuine fulfillment of these prophecies. Many of the prophecies were minute in their details. Others were impossible for a human to control. 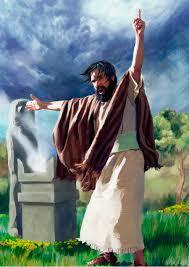 Among those Old Testament prophecies was the prophecy of the resurrection of the Messiah from the dead (Psalm 16:10). The resurrection is the greatest evidence the Scriptures give in support of Jesus as the Son of God. If one accepts His resurrection as true, there can be no question of His divinity. Romans 1:4 says that the resurrection demonstrated to all that He is the “Son of God with power.” Though efforts have been made to explain it away, the resurrection of Jesus Christ from the dead is an undeniable fact. It shows without doubt that the basic message of the Bible is true — Jesus Christ is the Son of God. This post was written by my friend Gene Taylor. There are many outstanding traits that Jesus possessed that would be good for all of us to have as part of our basic character. As a child, he was subject to His parents (Luke 2:51; Eph. 6:1; Col. 3:20). He was about His Father’s business at an early age, i.e., He was interested in spiritual things while just a youth (Luke 2:49; Eccl. 12:1). He lived, not selfishly, but for others (Mark 10:45; Phil. 2:4). He accomplished God’s will in His life (John 6:38). He left an example that all can follow (1 Pet. 2:21). In this article, though, we want to look at His development that is related in Luke 2:52. The four areas in which Jesus grew that are revealed in that passage — wisdom, stature, favor with men, and favor with God — are those areas we must emphasize as we look to our own lives. To advance in wisdom is to grow intellectually or mentally. Wisdom is “the quality of being wise; the power of judging rightly and following the soundest course of action, based on knowledge, experience, understanding.” Wisdom’s importance is emphasized by Solomon in Proverbs 3:13-26. While one should give attention, especially when young, to his education, he should “give diligence” (2 Tim. 2:15) to gain knowledge of the Bible. A good understanding of its teachings is far more valuable than an education at the finest academic institutions. To advance in stature is to develop physically. Jesus developed a strong, healthy body. Our bodies are to be instruments of our service (Rom. 12:1; 6:12-13) and temples of God (1 Cor. 6:18-20). There are three essentials to a strong body: eat proper food, exercise moderately (1 Tim. 4:8) and keep it free from diseases. This is to develop socially. It has to do with human beings living together as a group in a situation which requires they have dealings with one another. Man is created a social being: to live one with the other. It is not in man’s nature to live alone (Gen. 2:18). He is to be a gregarious being. We need to learn to love people. It makes it easy to live with them. Jesus associated with all kinds of people — publicans, sinners, Samaritans — because He loved them (John 3:16). Jesus always tried to influence those with whom He associated to be better people setting the proper example of behavior before them. This is the spiritual development that ought to characterize every child of God. The importance and value of the soul is seen in Matthew 16:26 where it is shown to be of greater value that all the amassed wealth to be found in the world. Basically, the essentials for spiritual development are the same as those for physical growth: proper food, exercise and freedom from disease. The correct spiritual food is the Bible (Acts 20:32; 1 Pet. 2:1-2). Spiritual exercise is the application of the word of God to one’s life which results in proper character development and worthwhile service to the Lord and others. Freedom from disease is being pure and “unspotted from the world” (Jas. 1:27) by keeping one’s lusts in check. Thanks so much to St Paul Carpet Cleaning for sponsoring my blog! It seems using Scripture for personal gain is a practice that is ancient. While it was not wrong for such a use as these tax collectors made — even Jesus reminded people to “render therefore to Caesar the things that are Caesar’s” (Matthew 22:21), there are many occasions when people, even those who claim to be children of God, use Scripture in a sinful way for their personal advantage. The apostle Peter cited such a practice when, in reference to the writings of Paul, he wrote, “which untaught and unstable people twist to their own destruction” (2 Peter 3:16). Though seeking to use the Scriptures to their own advantage, they ended up bringing about their own destruction for treating the word of God that way. Some today “twist” the meaning of Matthew 7:1 for their own advantage. In an effort to have no one criticize their lifestyle or religious practices, they apply the teaching of “Judge not, that you be not judged” in a way the Savior never intended for it to be applied. Some who claim to be members of the body of Christ will apply 1 Corinthians 6:1-8, where Paul forbids brother going to law against brother, for personal advantage. Knowing that many believe they should never take a brother to law for any reason, some use this passage as a protective shroud to take advantage of their brethren financially knowing no lawsuits will result. Be careful how you use Scripture. While everyone has the right to the full blessings it supplies, it should never be misused in order to gain some personal advantage over another person.